Roses, books and lovers: Barcelona is full of them on the 23rd of April, World Book Day is a distinctly romantic event in Catalonia. The people of Catalonia celebrate the day of Sant Jordi, their patron saint, with an unusual tradition. 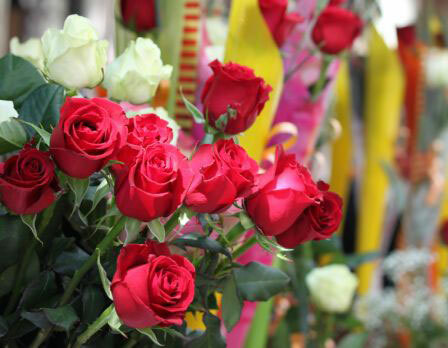 In the spring you can take part in one of the most unique celebrations in Catalonia - Sant Jordi. It is a very traditional fesival that combines culture and romance. On 23rd April, couples traditionally exchange gifts: a book for the men and a rose for the women. Book and flower stalls are set up along the streets of Barcelona. The thoroughfares throng will people browsing the stalls, looking for gifts their and friends and family, as well as their beloved. You can find the latest publications, see well-known authors signing copies of their books, and of course, smell the scent of the roses. This curious festival comes from a mixture of traditions from different periods. On one source of its origins is the fact that Sant Jordi has been the patron saint of Catalonia since the 15th century; a second being the famous legend of St George and the dragon along with the medieval tradition of visiting the Chapel of Sant Jordi in the Government Palace, where the "rose" or "lovers" fair used to take place. This is why Sant Jordi is also the patron saint of lovers in Catalonia. The festival is the perfect opportunity to see the Government Palace as it is open to visitors. In the noble gallery of the Palace you can buy roses from several stalls run by charitie and there is also a traditional carillon concert. There will also be an official mass in the Chapel of Sant Jordi and a blessing of the roses in the Gothic courtyard of the Government Palace. Join us for the 20th in this series of important discussions about the future of libraries, publishing, collections, and scholarship. This year's theme is "Serving Learning and Scholarship". The 2018 Fiesole Retreat will once again examine new technologies and service models, as well as issues in collection development and librarianship. We will also look at the role of the Library as a laboratory of co-creation and creative solutions supporting learning. Join us in Barcelona as we explore our evolving role amidst these new directions. The 2018 Retreat will be held at two campuses of the Universitat Pompeu Fabra. 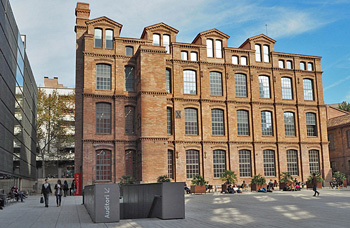 Our Preconference and Opening Sessions will be based at the newest campus UPF Poblenou which is located in the emerging technology sector of Barcelona referred to as @22. Our closing session will take place at the Campus Ciutadella, the reclaimed Citadel of the city. Tours of UPF libraries, as well as nearby museums and digital video facilities will be part of this year's Retreat. And we will travel to the city center for our conference dinner. Registration is now open, please click here to apply. Why are Digital Humanities so important, that we take up the theme for the preconference? Why are Digital Humanities so relevant for our culture, our research and our societies? We are living in a world, which is heavily influenced by the so- called hard sciences like chemistry, engineering, informatics, medicine, physics etc. There are no doubts that these disciplines are necessary to solve the world’s biggest challenges and problems of environment, health, nurture and welfare. Academic Libraries support these research activities by licensing databases, E-books and E-journals on the one hand and by their efforts concerning open science, open access and open data on the other hand. Open science concerns the humanities as well as the social sciences and the huge masses of cultural heritage items including all the cultural heritage institutions themselves. In a world of an increasing disorientation and uncertainty of facts, cultural identities and “true and untrue” libraries, archives and museums are in the situation to foster and to support an open culture of education and research. Digital humanities’ mission is aiming at corresponding goals. We need access to their cultural heritage and their traditions to understand the world of today and of the future. The many materials of our traditions have to be shared with the public and the many communities by appropriate technical means. At the same digital skills are more and more needed. Digital scholarship requires new competencies and support by the libraries. Andreas Degkwitz is the Chief Librarian of the Humboldt University of Berlin and Honorary Professor for information science of Potsdam University for Applied Sciences. From 2004- 2011 he was the Chief-Information-Officer of the Brandenburg Technical University of Cottbus. From 1998-2003 he was the deputy-director of the library of Potsdam University and from 1991-1998 he worked as a consultant for library affairs at the German Research Society. Marian Lefferts is the Executive Manager of the Consortium of European Research Libraries. She has degrees in Medieval Studies and English Language and Literature. Previously, she worked for the International Medieval Institute in Leeds and the Illustrated Incunabula Short Title Catalogue on CD-ROM at the British Library in London. Within CERL she is responsible for finances, dissemination, formulating and implementing strategies, as well as liaison with technical staff. CERL is responsible for a wide range of electronic resources that aim to improve access to, as well as exploitation and preservation of the European printed heritage in the hand-press period (up to c. 1830). In her presentation, M. Lefferts will describe some of its databases and the CERL network activities in more detail, with a specific focus on what CERL has done and how plans to further develop both databases and services to better support the DH community. Peter Foster is European Sales Manager for Gale, Cengage Learning. He holds an MA in History, and after a brief diversion in cartographic publishing, moved to Gale in pursuit of digital primary sources. He has since spent 15 years working with libraries and researchers in the UK, Ireland, across Europe and occasionally further afield, and enjoys discovering something new in an old library. Gale began digitising printed book collections over 15 years ago, and has today around 200 million pages in Gale Primary Sources. Our partnerships with world-class institutions, which began more than 50 years ago in print and film, coupled with our methods of digitizing and indexing primary sources, result in unique collections and technologies that support the exciting digital humanities research taking place around the world. In 2014, following some successful pilot projects, we announced the availability of the underlying data of Gale Primary Source collections for digital humanities scholarship. This talk will focus on some of our findings, including examples of research projects using the data and next steps in supporting a growing community of digital humanities scholars. Laurent Romary is Directeur de Recherche at Inria (France) within the team ALMAnaCH and director general of DARIAH. He carries out research on the modelling of semi-structured documents, with a specific emphasis on texts and linguistic resources. He has been active in standardisation activities within ISO committee TC 37 and the Text Encoding Initiative. He has also been working since many years on the advancement of open access. Among his achievements he has contributed to the wide deployment of the French national publication archive HAL in 2005-2006, he negotiated the full open access agreement between Springer and the MPS in 2008 and shaped the open access Policy of Inria with a full publication deposit mandate. Through his experience in various EU projects such as PEER (large scale green open access deposit) or Cendari (networking of archives for digital scholarship), but also more largely as director of the European DARIAH eInfrastructures in the humanities he has developed a general vision of open access as part of a wider comprehensive scientific information strategy of research and higher education institutions. We will present how the European infrastructure DARIAH plays a central role in accompanying the swift evolution towards digital methods in the humanities. Beyond, the main focus around best practices, technological developments or open science principles, we will zoom in on the current development of the data re-use charter in collaboration with major other institutions in Europe and see how it may contribute further to an improvement of the relation between cultural heritage institutions, among which libraries play an important role, and research communities. Núria Bel is Associate Professor at the Department of Translation and Language Sciences of the Universitat Pompeu Fabra (UPF) and Head of Research of the group Technologies of Language Resources at the Institut de Lingüística Aplicada (IULA-UPF). Her current lines of research are related to the development of methodologies and tools for the automatic acquisition of information from text data. In this area, she has published more than 50 contributions and she has been the supervisor of eight PhD dissertations. She has participated in more than 15 European and nationally funded research projects related to Natural Language Processing applications, data sharing and infrastructures for the research in Humanities and Social Sciences such as CLARIN and DASISH. Currently, she is member of the Board of the META-NET network of excellence and of the European Language Resources Association Board. Digital Humanities are concerned, among others, with the computational modeling and analysis of humanities information. For several humanities disciplines information comes to a large extent from texts. Searching for texts and classifying them were activities that made libraries a fundamental partner of the humanities research in the past. Their role is still fundamental, helping DH researchers to find texts as raw data for their studies and to assist them in the dissemination of their research results. However, because of researchers using computational tools for modeling and analyzing the data, it might be that libraries need to undergo some changes. Researchers need to know details about format, character encoding, size and other technical characteristics of the text as a processable digital object, or of the results of already processed (Named Entity Recognition, GIS, graphs, etc.) texts as well as about tools that can be used for processing them. In her talk Núria Bel will introduce which are these technical details and their importance will be illustrated with examples of related DH projects in Spain. Susanne Dalsgaard Krag is coordinating Scholarly Publication services at Aarhus University (CRIS, OA, Open publishing, Bibliometrics and copyright issues). She has been the Library Manager at Aarhus University – Aarhus BSS – since 2012, Library manager at Social Sciences 2009-2012, Theological Library 2002-2009 and license manager at the former Business School in Aarhus 1991-2002. She has a long experience in merging and changing libraries from traditional libraries into service providers. The best results are always found in corporation and partnership with the researchers, students and faculty. She is a member of LIBER Research and Education WG (chair 2017) and in the period 2002-2012 she was board member of The Danish Research Library Association. The role and tasks of research libraries change radically in these years in line with the increasing digitization and the changing demands for openness and accessibility of research. It places great demands on the research libraries’ service and, although we have prepared for this development for many years, the question is whether we are ready to change so that we can deliver the services that are needed. There is a growing need for digital skills and competencies to manage the issues emerging from digital scholarship and this requires new skills from library staff, both through immediate and lifelong training, and these are questions, we will try to focus on in a new Liber workgroup. What is the role of libraries with respect to “digital scholarship” developments and the increasing demands for open and free access to research? How can we help to create and promote open access to research data and publications? How can libraries help to support new search methods (text and data mining, data visualization, etc.) and do we have the right skills? How can we communicate and promote the relevant knowledge and how should we best cooperate with the academic environment on these issues. In her presentation Susanne Dalsgaard Krag will provide some examples from her own work as a library director in Social Sciences at Aarhus University. Lluís Anglada is Director of Open Science in the CSUC (Consortium of Services for the Universities of Catalonia). Before, he was director of the CBUC (Consortium of Catalan Academic Libraries) and the director of the Catalonia Technical University Libraries. He has been active in different professional associations and committees at Catalan and Spanish level. He is a member of SPARC Europe executive board, and he served on the LIBER executive board Speaker Biographies and OCLC Global Council. He has published above 40 articles and book chapters. Ángel Borrego is Head of the Department of Library Science and Audiovisual Communication at the University of Barcelona (Spain). He teaches several courses on scientific information and research methods. His research interests focus on scholarly communication and scientists’ information behaviour. All research libraries share to have similar trends in their evolution, but the concretion of the trends in the reality of each country differs. 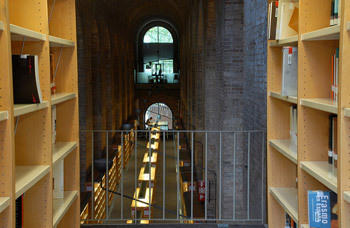 Spanish academic libraries lived a deep reorganization after the end of the Franco regime. The first step was the creation of central library structures and the automation; then, the construction of new buildings; and, finally the creation of new services, and, specifically their reorientation to supporting research. Research services evolved quickly to digital scholarship. The talk will focus this last movement. We will do from two different perspectives. First, we will examine the objectives of support research in the Rebiun (the Spanish Association of academic libraries) strategic plans of the last years. Secondly, we will analyze the present resources and organization of the services supporting research in this digital era. Julien Roche has served as Director of the libraries of the university of Lille – Sciences and Technologies, since 2005. Currently, he has been leading a strategic project for the university of Lille, the creation of the LILLIAD Innovation Learning Center, to support the innovation process of the university, including a new building opened in September 2016. From 2010 to 2016, Julien has served on the LIBER Executive Board. He has also been the Chair of the LIBER Steering Committee on Reshaping the Research Library and has led the leadership Working Group, which is responsible for two leadership programs: the leadership seminar (part of the LIBER brand since 2011) and the LIBER Journées programme, launched in 2015. Julien has also several national responsibilities including cochair of the French training professional program for newly appointed university library directors and vice-president of the French National university and research libraries, the ADBU. The European Commission’s proposals for a digital single market are likely to see the introduction of a mandatory copyright exception for text and data mining in public research. Under this new copyright regime, academic librarians will have a crucial role to play in advising researchers on their rights and supporting them in accessing the content they need. This paper will share an updated presentation of the results of a qualitative study of TDM researchers, librarians and infrastructure providers working in the UK, France and beyond. The UK introduced a copyright exception for TDM in 2014, and France in 2016, and the lessons learned from these early adopters are now highly relevant to the rest of Europe, as widespread implementation of a copyright exception for TDM draws ever closer. The paper will also include an update-to-date presentation of the European reform in preparation. The study identified a key role for academic librarians in enabling greater uptake of TDM by public researchers, and makes a number of recommendations on how they and other stakeholders should respond to the introduction of a copyright exception. Glòria Pérez-Salmerón was Director of the National Library of Spain and is currently President of the Spanish Federation of Societies of Archivist, Librarians, Documentalists and Museology (FESABID), Vice President of EBLIDA (European Bureau of Library, Information and Documentation Associations) and 2017-2019 President of the International Federation of Library Associations and Institutions (IFLA). She was born in Barcelona and holds a postgraduate diploma in Librarianship from the Barcelona University Faculty of Librarianship and Information Sciences. 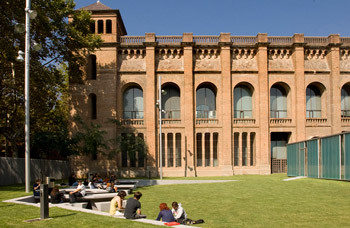 She received a postgraduate degree in "Library Management" from the Pompeu Fabra University in Barcelona; as well as in "Government and Public Management in the Information Society: Electronic Government", from the Pompeu Fabra University and the Escola d'Administració Pública de Catalunya. Holding the Fiesole Retreat in Spain provides participants a unique opportunity to focus on the intersection of several important collection development topics: (1) libraries' and scholars' ever-changing perceptions of primary sources and special collections, now that an increasing number are being converted to electronic format and increasingly broadly accessible; (2) policies and access to "area studies" materials from different world regions and countries, at a time when libraries' purchasing of these is apparently being reduced; and (3) how these contemporary collections topics are being addressed, particularly with a focus on Spain and Spanish speaking scholarly and research needs. Ann Okerson joined the Center for Research Libraries in fall 2011 as Senior Advisor on Electronic Strategies, working with that organization to reconfigure and redirect various existing programs into digital mode. Previous experience includes 15 years as Associate University Librarian for Collections & International Programs at Yale University; prior to that she worked in the commercial sector, and also for five years as Senior Program Officer for Scholarly Communications at the Association of Research Libraries. Upon joining Yale, she organized the Northeast Research libraries consortium (NERL), a group of 28 large and over 80 smaller libraries negotiating for electronic information. She is one of the active, founding spirits of the International Coalition of Library Consortia (ICOLC). Activities include projects, publications, advisory boards, and speaking engagements worldwide, as well as professional awards. Recently, she led the group that completely re-wrote (December 2014) the widely used US LIBLICENSE Model License. Over the years, Okerson has also been active internationally and currently works with INASP (UK) in leading their publisher-contracting efforts. Michael Levine-Clark is the Dean of the University of Denver Libraries. Prior to taking this position, he was the Associate Dean for Scholarly Communication and Collections Services, also at the University of Denver. He is the recipient of the 2015 Harrasowitz Leadership in Library Acquisitions Award for his work on e-books and demand-driven acquisition models. With colleagues from the Colorado Alliance of Research Libraries, he founded the open access journal Collaborative Librarianship, and continues to serve as co-editor. He has been elected to leadership roles in the Association for Library Collections and Technical Services (ALCTS) and the Reference and User Services Association (RUSA). Currently he serves on the Executive Committee of the Western Regional Storage Trust. As co-chair of the NISO Recommended Practices for Demand-Driven Acquisition of Monographs Working Group, he was one of the lead authors of the recommended practices document. He serves on a variety of national and international publisher and vendor library advisory boards and a range of committees within library professional organizations. He is widely published and has been invited to speak on five continents about trends in academic libraries and scholarly communication. Special collections and primary sources are seeing a revitalization at many academic libraries. After being squeezed out of budgets for many years, these resources are now an area of emphasis – in terms of both collection development and instruction – but still account for only a fraction of library spending. Investing in special collections differentiates libraries and creates distinction. But far more important than the prestige that special collections convey, primary sources (whether in physical or digital form) resonate with users. They provide digital natives an opportunity to interact with original artifacts, and they give students a way to understand that secondary literature is just an interpretation of the original sources. This talk will describe some creative uses of primary sources (physical collections, digitized local collections, and licensed digital collections), argue for even greater emphasis on acquiring and using these resources, and consider how widespread access to digitized collections may impact the role and value of traditional, physical special collections. Angela M. Carreño is the Head of Collection Development for the Division of Libraries at New York University with a longstanding involvement with Latin American Librarianship. She is Past- President of the Seminar on the Acquisition of Latin American Materials (2006) and current member of the Latin American Research Resource Project Advisory Committee as Chair of its Resource Discovery Working Group. Angela is the primary licensing officer for the Division of Libraries and assumes primary responsibility for consortial collection development commitments. She represents the Libraries on collaborative projects with other campus units and other libraries. Since 2007 she has intensified work on the NYU electronic book collection in close collaboration with NYU’s branch campus library in Abu Dhabi and, more recently, in support of the Manhattan Research Libraries Initiative (MaRLI) and PALCI. Angela is a member of several publisher advisory boards. In 2013 She received the ALCTS Coutts Award for Innovation in Electronic Resources Management. Angela served as Chair of the NERL Program Council from 2012-2014 and was appointed Co- Chair of the PALCI Collections Advisory Council in 2017. This session will discuss the evolving strategies of the Manhattan Research Libraries Library Initiative (MaRLI). MaRLI is acollaboration between a public library, New York Public Library’s Research Libraries, and two private, research institutions, Columbia University Libraries and New York University Libraries – combined collections of nearly 65 million items opened up to a population of potentially 17 million patrons. Working with a range of publishers and vendors, the collection development officers at all three institutions have successfully worked through differences in collecting strategies to forge opportunities for making available to their patrons a wide range of sparsely held collections of foreign material. The work involves a complex system of interactions, dependencies, and balances in search of a redefined network model for institutional and commercial relationships. This session will discuss some of the strategies for the joint acquisition of foreign material, leveraging the licensing of e-versions, and will wrap up with a discussion about strategies the group is considering for the future. Ramón Abad Hiraldo graduated in History in the University of Zaragoza (Spain), and obtained his Master's degree in Library and Information Science in the University of Long Island, in New York (USA). He also belongs to the Spanish Senior Librarians Corps (Cuerpo Facultativo de Bibliotecarios). He started his professional career as a librarian in the University of Zaragoza in 1981, holding different positions. In 1992 he joined the Instituto Cervantes (the Spanish cultural institute), where he worked as a Head Librarian in the sites of Alcalá de Henares, New York and London. Since 2005, he is the Director of the Library of the University of Zaragoza. He has been active in national and international library organizations: ANABAD, SALALM, REFORMA, LIBER, IFLA – where he chaired the Editorial Committee of IFLA Journal for 4 years – and most recently REBIUN (Network of Spanish University Libraries), where he has worked as Executive Secretary from 2013- 2016, and whose Statistics Working Group he is currently chairing. As in the rest of Europe and throughout the world, Spanish university libraries are participating in the enormous changes that the collections are experiencing, mainly due to the transition from paper to digital format. This presentation aims to offer a survey of the collections and related issues of Spanish university libraries and the process of change carried out in the last two decades. It highlights the important role played by REBIUN (Network of Spanish University Libraries) in the configuration and promotion of the new models and roles of the university library of the 21st century. Libraries invest much of their economic resources in building (or facilitating access to) scientific collections that support the research activities of their institutions. Supporting teaching activities, which until now had stayed in the background, has recently gathered importance with the development of services to advance the creation of new formats. The teaching collection is once again key in academic libraries, not only from the acquisition of commercial collections but also by creating content. Using libraries as labs in which to solve this need of colleges and universities, librarians (often hand in hand with colleagues from other units) have devised all sorts of solutions that have physically transformed the library environment, as well as the way in which collections are conceived. Josep "Pep" Torn is currently Library Director at the European University Institute. Previously to this he was director of the Academic & Library Services at the Universitat Oberta de Catalunya (Barcelona) and head of digital services at the Universitat Politècnica de Catalunya – Campus Library in Terrassa, Barcelona. Pep is also a member of the Working Group on Leadership and Workforce Development of LIBER. Niall Sclater is consultant and director at Sclater Digital, an educational technology consultancy, and is affiliated faculty at the University of Amsterdam. Previously he was Director of Learning and Teaching at the Open University, responsible for institutional strategy in areas such as educational technology and learning analytics. He is currently advising Jisc on its Effective Learning Analytics project and has been providing consultancy in this area to several universities. He has been involved in the research, development and management of learning and teaching in higher education since 1992, and is author of "Learning Analytics Explained", recently published by Routledge. Niall's blog and details of his publications are at sclater.com. Manel Jiménez-Morales is a lecturer in the Department of Communication at Pompeu Fabra University (UPF) in Barcelona. He is a graduate in Audiovisual Communication from UPF and in Literary Theory and Comparative Literature from the University of Barcelona. He has a PhD in Social Communication from Pompeu Fabra University. He has been a scriptwriter, producer and director for various film and television projects, as well as cultural programmes. He has been on several international research stages (Oxford, UCLA, British Film Institute) and has taught at various British and German universities. Manel is active in several research projects and publications. In 2013 he started to develop the strategy for MOOCs and new educational formats at UPF, entrusted with the incorporation of new technologies in teaching at UPF. In 2016 he took over the academic management of the CLIK (the Center for Learning Innovation and Knowledge) at UPF. Anna Magre holds a degree in Library and Information Science, a degree in Art History, and a Postgraduate in Planning and Management of Libraries. 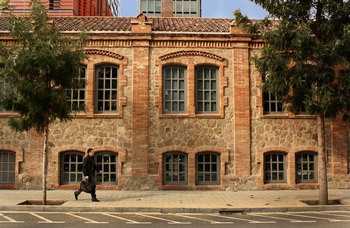 She has worked at Pompeu Fabra University Library since its beginnings (1990), where she has had the opportunity to work in different positions and in different locations. 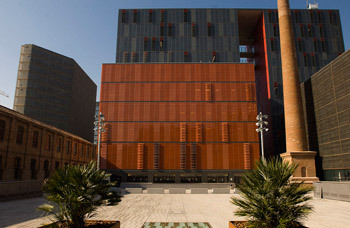 Currently, she is the Head of the Library/CRAI Campus Poblenou, one of the urban campuses of UPF specializing in Communication and Media Technology. Her professional career has been focused on the areas of organization and delivery of services, with a clear orientation and proximity to users profile. Citizen science and Co-creative Knowledge: How Libraries contribute to DeMOOCracy? In the last years, MOOCs came up to offer a new way to relate with learning methodologies and broaden the access to the universities. As a result, this landscape has completely modified the participation of cyber-students in online courses and, consequently, the outputs and results of knowledge. It seems clear that MOOCs contributed to democratise the way of learning and this movement has been done simultaneously to the rise of citizen science and the concept of co-creation/co-creativity of knowledge. Libraries have had a significant role on that. First of all, because they are the main actors who provide resources to the teachers; Secondly, because they currently act as centres of techno-visual production, facilitating the creation of videos and other computational material; And finally, because they store the resources produced by students, creating repositories and managing the results of the process of learning. In this paper we want to analyse the new role of libraries within what we call social knowledge and how it can help to get a qualitative leap for science and democratic learning. Katy Woolfenden is of Head of Teaching, Learning and Students at University of Manchester Library in Manchester, UK. She takes responsibility for leading and developing the Library's services in support of the University's teaching, learning and the student experience. Her remit includes senior management of Teaching and Learning Services, the Learning Development Team, the eLearning Team and the frontline Customer Services teams across ten sites, including the Alan Gilbert Learning Commons. She is also responsible for overseeing My Learning Essentials, the Library's award winning academic skills programme. As a member of the Library's Leadership team Katy also takes an active role in the development of Library Strategy and shares responsibility for the overall management of the service with her Leadership Team colleagues. Katy has a broad experience in academic libraries and has enjoyed previous roles supporting Continuing Education, Engineering & Medical Faculties, working with NHS libraries and leading Customer Services. Eric Briys is founder of Cyberlibris, a French firm established in 2001. Cyberlibris is the pioneer of institutional subscription based (all you can eat) digital libraries. Cyberlibris clients include business schools, universities, corporations, public libraries. Eric is a former investment banker (Lehman Brothers, Merrill Lynch, Deutsche Bank) and a former Professor of Economics and Finance. He graduated from the University of Geneva (PhD) and HEC Paris. His latest book, entitled D’or et d'airain: Penser, cliquer, agir, was published in 2017 by Les Belles Lettres. Laure Delrue is a librarian and curator. She is head of Lilliad's collections since 2014, and her current interests focus on electronic collections development, scholarly publications and on the role of liaison librarians in the new learning center. Her former position as deputy director of Lille public libraries gave her the opportunity to work on rare books, special collections and on digitization matters, as well as to curate several exhibitions in partnership with the city's opera and history museum. Clément Roux is data scientist at Cyberlibris where he specializes in library applied machine learning/ visualization techniques. He is a graduate of Solvay Brussels School of Economics and Business. He started his career at Simcorp as business consultant for the financial industry. He then acquired skills in data analytics and visualization at the Dublin Institute of Technology where he graduated from in 2016. He is also developing spatial analytics and visualisation projects at ThinkSmarter (Ireland). Lilliad, Learning Center for Innovation was thought to undertake a deep transformation into a showcase for research at Lille university, a bridge facilitating access from high school pupils to undergraduate studies, and, last but not least, a enhanced library. Most of our collections have turned digital, like in many science libraries. Lilliad is designed to be a place to live, study and socialize. On the one hand, we give access to e-books but know nothing of our readers apart dry COUNTER figures; on the other hand, we still circulate many hard copies, which our digital natives 1st year students still strongly appreciate. We wanted to improve both our patrons reading and discovering experience. We decided to collect data to assess their needs as accurately as possible. We were eager to know how our patrons are foraging our contents, from print to digital, and we also felt the need to make our e-books more visible. We asked Cyberlibris, our main e-books for undergraduates provider, to adapt the digital content explorer (DICE) they had built in 2014 to visualize the use of their e-books collections all over the world. Our common purpose was to offer our patrons a digital location and experience where to share their readings, and, in the course of doing so, where to discover books they would have otherwise ignored. The key factors to achieve these goals are design and community-based serendipity. We decided to exploit the wealth of data generated by the use of both the digital and physical libraries. Classical cataloging fields combined with reading and circulation data are used in order to, among other things, uncover hidden relationships between books, thus giving to our collection a very strong and evolving serendipity. The first discovery tool, the so-called DICE, uses individual reading data points. It shows how to spatialize thousands of books once hybrid data are analyzed. The second tool, called SAGE (Smart Academic Graph Explorer), relies on book choices made by faculty members of a large set of universities. Thanks to these data the social graph of these universities is computed, and links between books are visualized. The third tool, called SCOPE (Smart Communities of Patrons Explorer), relies on both faculty and students reading data. Communities of interest are identified and visualized. The last tool, called ABLE (Automated Bespoke Library Explorer), allows each individual patron to compute and visualize her "ideal" library. This set of tools was launched in October 2017. It is going to be used by reference librarians and to be made available to our patrons within the library via a surface table. Our purpose is to lead a survey from October to March, and to deliver a full-fledged presentation of the tools and first hand results and conclusions during the retreat. Sam Brooks is Executive Vice President in charge of all worldwide marketing, market research, sales, publisher relations and strategic partnerships at EBSCO Information Services. He is heavily involved in product development and is one of the leading content experts in the company. Sam is a member of the steering committees for all major content and technology initiatives for the company, and is also the chief architect of EBSCO’s 21 advisory boards and numerous focus groups. He has visited universities in more than 90 countries and has worked extensively with ministries of education, science and technology, and culture in developing nations to expand access to information. Sam has participated in panel discussions or appeared as the keynote speaker at many library conferences, including ACRL Chapter Meetings, IFLA, The Charleston Conference, ALCTS Networked Resources & Metadata Committee Meeting, Computers in Libraries, International Congress of Information (Cuba), LITA Technology & Access Committee Meeting, NLA Tri-Round Table, and many others. It can be argued that sustainable business models should be collaborative rather than adversarial with a view not only to satisfy researcher needs but also at the same to enable other stakeholders to perform their mediating roles. The speakers have been chosen both to represent specific collaborations but also to emphasise the needs for underlying infrastructures. Toby Green has been in the publishing industry since the dawn of the photocopier and has ridden the digital wave ever since. He has worked with all types of scholarly content: textbooks, encyclopaedias, journals, monographs, grey literature, datasets and A&I services, in both the for-profit and nonprofit sectors. At the OECD, an international organisation, he led the transformation of their inhouse publishing operation and is now extending this work to include other IGOs on the awardwinning iLibrary platform – all with the goal of maximising not only the dissemination of their works, but making them actionable and genuinely useful for readers. Would you like to listen to Abba or Albinoni, Andre 3000 or Amy Winehouse? Naturally, you head to their respective music publishers' platforms, don't you? You don't? Well, of course you don't – you head to a service that is designed for listeners, like Spotify or Apple Music because they not only have "all" the music that exists, they have fantastic tools to help you discover new sounds and have a fantastic listening experience – and you don’t have to care or guess who publishes Another Fine Day. So why, when it comes to scholarly content, are readers obliged to hack their way across different publisher sites (and I include repositories in this category) with all their different interfaces and reading experiences? Let's face it, publishers and repository owners play lip-service to being user-centric, their main focus is on satisfying the needs of authors. Is it any wonder that SciHub, the biggest one-stop-shop in our space, is so popular. In this talk I will put myself in the shoes of a reader and demonstrate that the experience is anything but user-centric and then sketch out a vision for what the scholarly communications industry could do if it really wanted to recapture the reader (and make SciHub redundant). Pierre Mounier is deputy director of OpenEdition and coordinator of OPERAS, a European infrastructure project for open scholarly communication. Pierre teaches digital humanities at the EHESS in Paris. He has published several books about the social and political impact of ICT (Les Maîtres du Réseau, les enjeux politiques d’Internet 2001), digital publishing (L'Edition électronique, with Marin Dacos, 2010) and digital humanities (Read/Write Book 2, Une introduction aux humanités numériques, 2012). Pierre Mounier participates in the activities of Dariah, the European infrastructure for digital humanities, and copilots the "Open Access" group within the French infrastructure BSN. The development of Open Science reconfigures deeply the way scholarly communication articulates with research, particularly for academic publications. New needs in terms of accessibility, research integrity, transparency, usability and long term preservation have to be addressed by service providers in that context. The radical change most players experience is particularly difficult for those in humanities and social sciences, because they have, most of the time, very limited resources, they rarely operate globally but rather locally and have difficulties to coordinate. OPERAS, a European project to set up an infrastructure dedicated to open scholarly communication in the humanities and social sciences aims at answering those needs by federating different types of stakeholders across Europe through subsidiarity and federation. Alice Meadows is Director of Community Engagement & Support at ORCID and an advocate and advisor for Metadata 2020. Before joining ORCID she held several senior marketing and communication roles at Wiley and Blackwell Publishing. Alice was elected to the Board of the Society for Scholarly Publishing in 2016 and is a regular contributor to The Scholarly Kitchen and other scholarly communications blogs. She was awarded the 2016 ALPSP award for contribution to scholarly publishing. Richer, connected, and reusable, open metadata for all research outputs will advance scholarly pursuits for the benefit of society. But most metadata currently falls short of the needs of researchers and research organizations alike. Metadata 2020 is a new initiative that aims to improve the quality of metadata by engaging with stakeholders from across the research community – associations, funders, librarians, publishers, and researchers themselves. It is an interesting use case in scholarly community engagement and this presentation will provide valuable insights into the governance, launch, current status, and goals of the initiative. Bob Boissy is Director of Institutional Marketing & Account Development for Springer Nature in the Americas. He has been in various publishing positions in institutional licensing, 3rd party licensing, and account development for fifteen years, and was in various technical roles for a subscription agency for fifteen years before that. He has been Chair of ICEDIS and President of NASIG, and currently serves on the NISO Business Topic Committee for Information Discovery & Interchange. Academic librarians spend considerable time on all phases of managing electronic resources, from acquisitions to assessment, but frequently have little time left to promote the resources to their users. This is where publishers can be of great assistance to libraries that have purchased their content. After eight years of worldwide cooperative effort to help libraries promote their e-resources in ways deemed appropriate for the academic campus, Springer Nature has accumulated a bank of account development case studies that demonstrate what works and what does not work. The presentation will illustrate our cooperative marketing motto – marketing with you, not at you. Roger C. Schonfeld is director of Ithaka S+R's Library and Scholarly Communication program. He leads a team of methodological experts and analysts that conducts research and provides advisory services for academic libraries, scholarly publishers, museums, and learned societies. Throughout his career of nearly 20 years, Roger's leadership has helped libraries and publishers to bring collections and publications to the digital environment in ways that advance preservation and access alike. In recent years, he has focused on strategy for an environment of pervasive free availability to content. His analysis of efforts to own and monetize discovery and other parts of the researcher workflow help libraries and publishers alike understand acquisitions and manage risk in a post-open ecosystem. In addition to an active consulting practice, Roger’s writings can be found at Ithaka S+R and the Scholarly Kitchen, and he tweets at @rschon. Previously, Roger was a research associate at The Andrew W. Mellon Foundation. He received degrees in library and information science from Syracuse University and in English Literature from Yale University. Several major publishers and vendors are steadily cobbling together the components of a comprehensive scientific workflow infrastructure. These workflow services will improve research collaboration, funding, and reproducibility. Because of the nature of such platforms can be to lock in users, they will also have risks for scientists and their institutions. This talk will provide a high-level examination of these businesses, including some notable differences between them, and offer key strategic considerations for libraries publishers, and the scholarly community broadly. Stephen Rhind-Tutt is President of Fairfax House, a consultancy in electronic information product development. He currently sits on the board of the University of California Press and advises ProQuest. From 2000 to 2018 he co-founded and led Alexander Street Press, an award winning electronic publisher of online collections for libraries, teaching and education. He has 30 years of experience in electronic publishing in various organizations, including President of Chadwyck-Healey, Inc. where he developed and distributed more than 100 electronic products and VP for SilverPlatter’s US and health science divisions. Stephen has spoken at a number of conferences including The Charleston Conference, UKSG, The Society for Scholarly Publishing and more.